The Under 9 Gold team are gradually gaining more confidence every week that they play. This weekend they were very competitive in their away game against Keon Park. The game against the Moreland Youth under 11 team was tough and entertaining. Following the FA cup result Ken Girls had a 1-0 win. 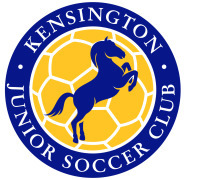 An outstanding fighting performance from the Kensington Joeys - congratulations to Lucy F for scoring the winning goal - a deserved reward for staying in position on the left wing to receive a perfect clearance and through ball from our star sweeper Chiara. Lucy controlled the ball well, ran forward keeping a couple of defenders behind her and slotted calmly past the keeper. The girls then held on magnificently for the second half to withstand a barrage from the other team. 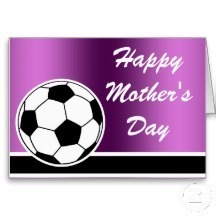 Too many great performances to single players out today, but we should mention our goalies Kitty and Charli for keeping a clean sheet, with plenty of help from the whole team in defence. Great entertainment on Mother's Day! Congrats girls. This week we were away to Yarraville Glory on their home ground. The girls started well with our first time goalie Chloe keeping them scoreless with great support from the backline. Our attcking midfielders and wingers showed spirit for a 4-2 victory. Annabel's goal was classic and impossible to stop. Congrats to Ishi and Rozie for their goals as well. Thanks to Milla nd Zoe from the Joeys for stepping up - great effort all round girls - you did your mother's (and your father's) proud! The under 14Cs travelled to Williamstown for their 4th game this season. We played the so far un-defeated Barstoneworth United and the final score was 1-1. Our goalies were Caitlin and Olivia who with lots of help from the defenders Abbey, Lucy, Rachel and Georgia, stopped so many goals we lost count. Amazing job girls. It was an extremely windy day, meaning that the ball was hard to control and even harder to shoot for goals. Fantastic effort from everyone. This means 3 draws for us so far this seadon!! Under 14Bs were up against the undefeated Cairnlea FC but went down 0-2 in a tight game. Under 16s went down 0-2 to only undefeated and top side St Albans in a hard fought match. We played the top team Clifton Hill this week and unfortunately with some minor defensive mistakes (which was largely the problem of the wind) we found ourslves well behind at half time. Some excellent soccer with great passing especially in the 2nd half but not enought to claw back the goals. Heads-up girls wonderful effort from you all.